Perler beads are the best. I remember playing with them in my youth, but only in rare spurts. I mostly remember having a couple Chicago Bulls “coasters” made with Perler beads. Fortunately, my sister took it upon herself to rediscover Perler and has helped ignite in me a fresh love for the craft. 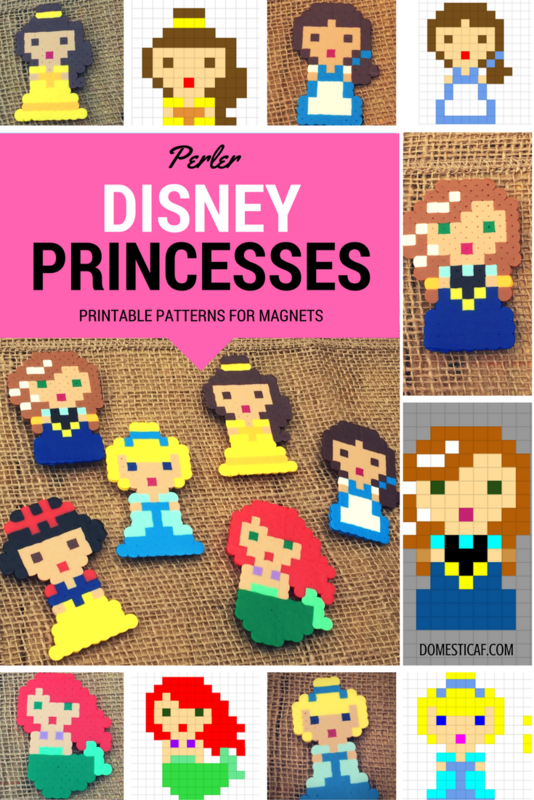 This Christmas I decided to craft for a friend a set of Perler Disney Princess magnets for the fridge. She saw a few I had done and fell in love. Who am I to turn down an opportunity to craft! So I forged ahead. After leaning on my sister’s Perler collection for too long, I finally bought the supplies for myself. Always a sucker for value, I went for the massive 22,000 bead bucket, so sure of my ability to sort them calmly over the course of a few nights. HAHAHAHAHAH! Nope. In case you weren’t aware, 22,000 beads is a lot of beads. Even after spending a lovely evening sipping wine and sorting beads (into my new favorite, best-ever Perler organizer) with my besties, I’ve barely made a dent in the bucket. But I have found the colors I need with relative ease so I shouldn’t complain. Beads, beads, everywhere and not a drop to drink. One note about the supplies: while YMMV, I found the little Perler tweezers to be a bit of a waste of money. They are made of plastic so it’s hard to get a good grip on the beads, and they are as slick as the things they should grasp. 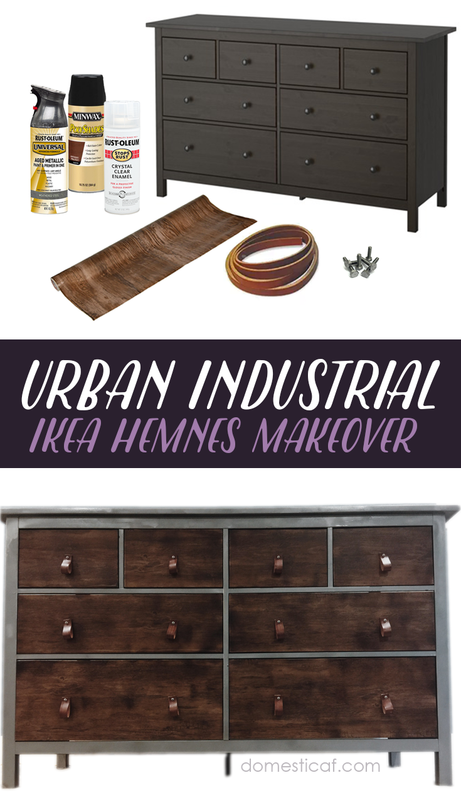 Overall, a great idea that has a flawed execution. Pass on the special tweezers and use a normal metal pair from home if you must. 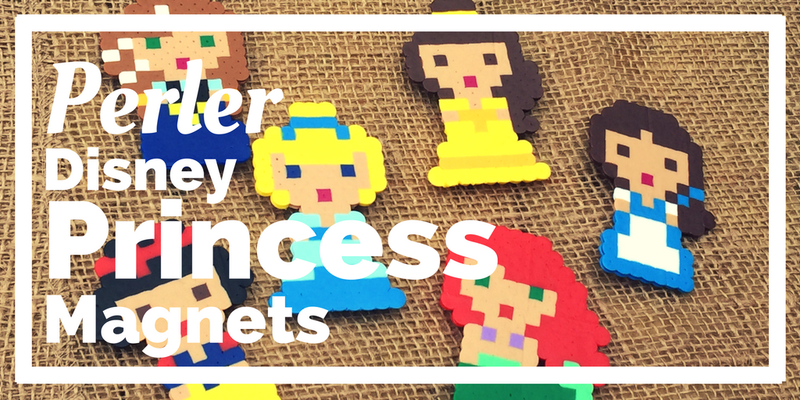 In my previous attempts at Perler Disney Princess-ing, I had just Google Image Searched each princess and reverse-engineered some finished products. This time around I wanted to not only collect the best patterns but make my own into a reusable collection. A few princesses were hard to find examples of, or I didn’t like the way they looked. 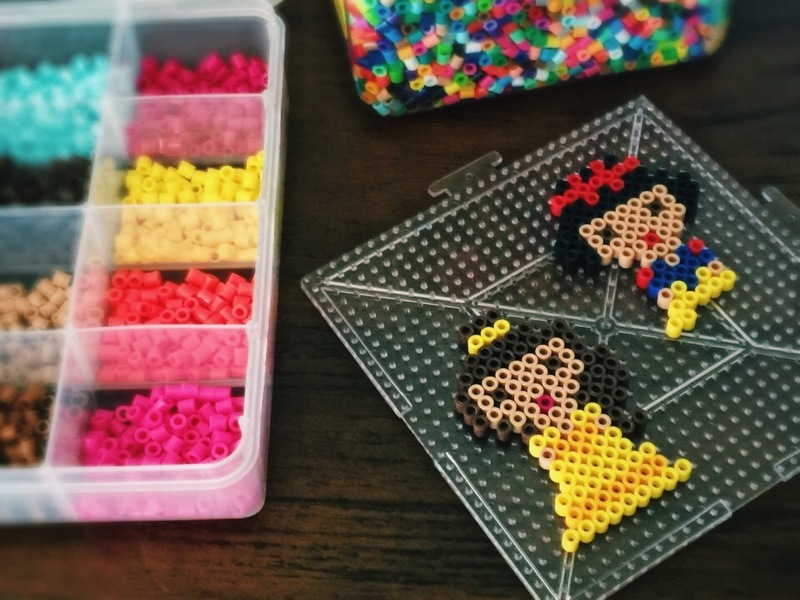 I ended up editing a lot of patterns to make my own set and I designed my Perler Elsa pattern and Perler Pocahontas completely from scratch. I also decided to give my Perler Merida her bow, since I wanted to differentiate her more and make her more active. I’m really happy with how my Anna, Elsa, and Cinderella turned out. I think you can actually see their respective braids or bun, so yay! Using this grid also helped me ensure that their eyes were aligned and that their dress height / width was consistent. Snapshot of my weekend, right here. The boards I got were big enough to house two princesses at a time. My patterns average out to about 17 wide x 18 high, accounting for space around the edges. I like to space them a bit more, but if you wanted to squeeze them onto smaller boards (or more onto a larger board) you certainly could! With some Disney hits blaring on Spotify, I knocked out all these princesses in about 2 hours. The flow of build, iron, build, iron, then hot glue the whole gang was strangely soothing. And by the way, these magnets from Amazon work GREAT for finishing these up. They’re very strong but small enough to stay hidden behind the princesses. And you can’t beat the price! See below for pictures of each pattern and the resulting magnet — so pleased with the results!